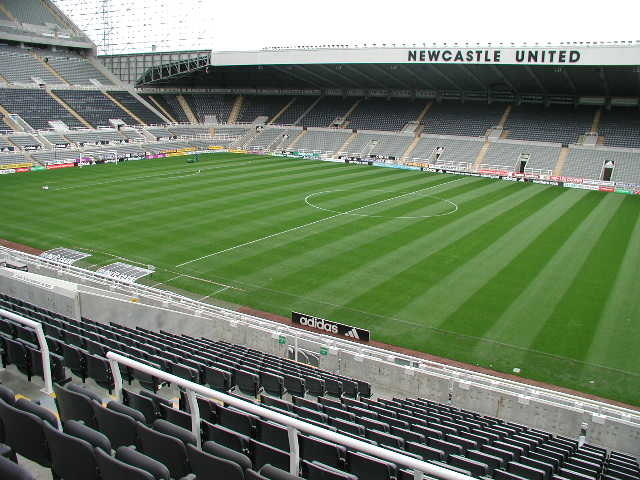 Manchester United will look to regain third spot in the table when they take on Newcastle at St James’ Park tonight. The Reds head into the game sitting fourth in the Premier League after Saturday’s 2-0 victory over Sunderland at Old Trafford, with Wayne Rooney supplying both goals to end his goal drought. However, Arsenal are just a point clear in third so Louis van Gaal will hope to capatalise on any slip up from the Gunners to jump back into the automatic Champions League qualification places. United will be confident of coming away from St James’ with a positive result as they have an excellent record against Newcastle having lost just two of their last 24 league games against the Geordies. John Carver’s side sit comfortably in mid-table following a 1-0 victory over Aston Villa at the weekend but they’ll be desperate to put a dent in United’s top four charge this evening. Van Gaal has no fresh injury worries to deal with meaning Robin van Persie is the only player certain to miss out through injury with the Dutchman nursing an ankle problem. Michael Carrick returned to the bench at the weekend but is still short of match fitness so isn’t in contention to start just yet. Phil Jones and Luke Shaw will be hoping for recalls after being rested against Sunderland while Adnan Januzaj is also pushing for a start in attack. As for Newcastle, Massadio Haidara will be handed a late fitness test after picking up a knee problem on Saturday. Ryan Taylor could step in if he’s ruled out after recovering from injury. 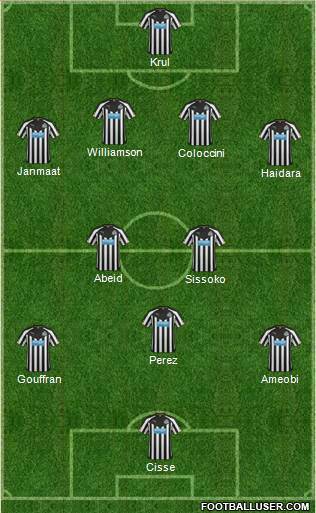 Jack Colback is suspended while Cheick Tiote is injured so Mehdi Abeid is likely to keep his place in midfield. Remy Cabella, Rolando Aarons and Robbie Elliott are all set to resume training next week but this game will come too soon for the trio. Newcastle 1-2 Man Utd: United aren’t looking that convincing lately but they are still grinding out results and I expect van Gaal’s side to do just enough to come away with the three points again this evening. Man Utd are the favourites to win the game at odds of 10/11 but Football-Talk can get you enhanced odds of 5/1 plus you can claim £100 in free bets. If you’d prefer to back the exact score, our 2-1 prediction is on offer at 15/2 while I also like the look of Wayne Rooney to open the scoring at 5/1. If we combine those bets in a scorecast then we get very tempting odds of 25/1. Surely that’s got to be worth a couple of quid!? jazunaj should be benched….we want mata mata mata!!!!!!!!!!!!!! Mata should start the game ahead of Januzaj….Januzaj is soo selfish with the ball….